FODAR 2016 is packed with great dance! Festival of Dance Annapolis Royal (FODAR) runs from Thursday, August 25 through Sunday, August 28 at King’s Theatre. Showcasing the best in contemporary dance, the event will include landmark Canadian modern classics and new works that are making waves. This year’s festival has two programs. PROGRAM ONE runs Thursday, August 25 and Friday, August 26. PROGRAM TWO runs Saturday, August 27 and Sunday, August 28. This year’s lineup includes last year’s mega hit Toronto’s internationally acclaimed Coleman Lemieux & Compagnie performing James Kudelka’s The Man in Black, set to six songs sung by country music legend Johnny Cash (PROGRAM ONE). – Mocean Dance’s brilliant Rhonda Baker returns to FODAR in Halifax-based Cory Bowle’s irreverent and highly physical Live from the Flashpan. – FODAR goes back to a modern dance classic when it remounts the legendary Danny Grossman’s 1976 Curious Schools of Theatrical Dancing. – The National Ballet’s Greta Hodgkinson gives a transcendent performance from Being and Nothingness choreographed by National principal dancer and choreographic associate Guillaume Coté. 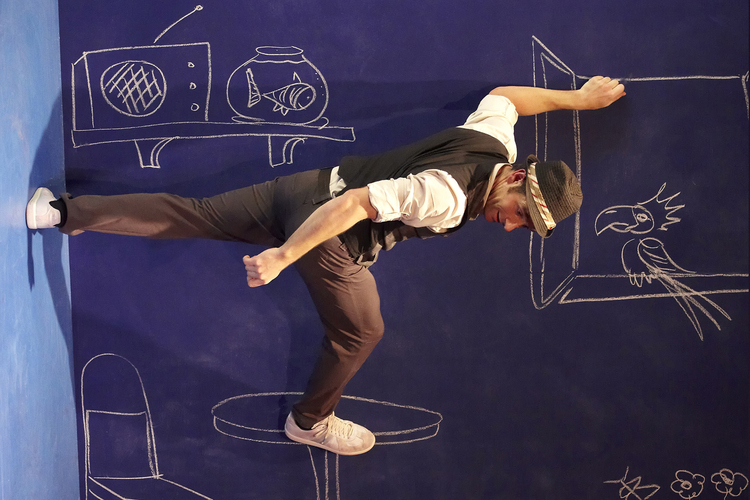 Montreal-based Daniel Brière’s dazzling, internationally acclaimed Léo – a gravity-defying mashup of live performance and video runs as Program Two on Saturday and Sunday.